Live in the heart of downtown St. Louis in one of the trendiest apartments and lofts in STL. 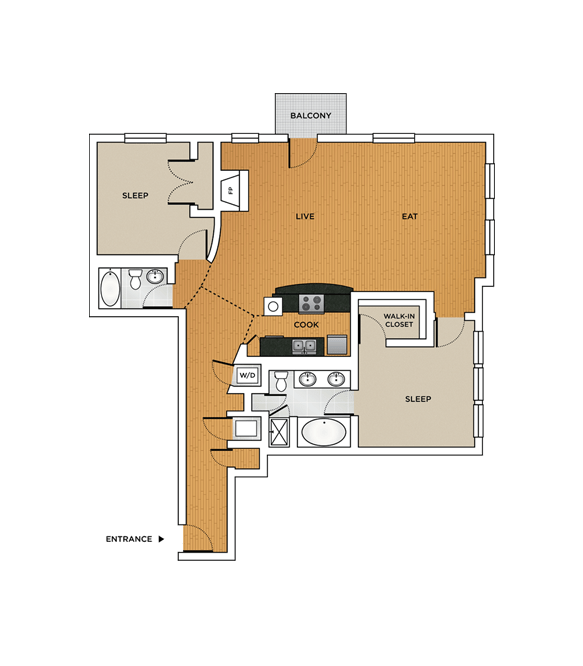 The Lofts at OPOP offers amazing one bedroom, one bedroom plus, two bedroom, two bedroom plus, and penthouse apartments. These luxury lofts in St. Louis, MO overlook Old Post Office Plaza in downtown. The Lofts at OPOP are just steps away from St. Louis shopping district, restaurants, and bars. Attractions such as the St. Louis Convention Center and Busch Stadium are also just minutes away. Come check out what The Lofts at OPOP in St Louis, Missouri has to offer. The Lofts At Opop is located and 0.50 miles from St. Louis Community College. The property has a Walkscore of 97, so you will be in walking distance of everything you'll need on a daily basis. The property has a Transitscore of 68, so you'll have good transportation options. The Lofts At Opop has many shops nearby. Coffee shops in the area include Saint Louis Bread Co., Cafe Ventana, Benton Park Cafe. There are a number of markets in the area include Culinaria - A Schnucks Market, Historic Soulard Farmers' Market, Schnucks.